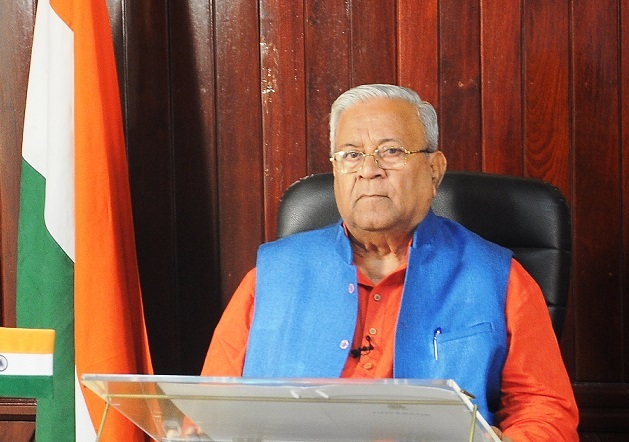 Nagaland governor and national brand ambassador for Swachh Bharat Mission P B Acharya on Thursday appointed Neelam Dutta of Assam, Ihohal Singh of Manipur, Ram Pada Jamatia of Tripura and Shoupen Phom of Nagaland as brand ambassadors of “North East NAMASTE States Swachh Bharat Mission Committee”. Sotai Kri of Arunachal Pradesh has been appointed as the convener of the committee, a Raj Bhavan release said. Acharya has coined Nagaland, Assam, Manipur, Meghalaya,Mizoram, Arunachal Pradesh, Sikkim and Tripura as NAMASTE states of the Northeast. The newly appointed members have been asked to send quarterly report of their activities and initiatives along with photographs to the governor, the release said. The governor stated that the brand ambassadors for other North East NAMASTE States will be nominated shortly. The release said the “North East NAMASTE States Swachh Bharat Mission Committee” will work in coordination with state committee appointed by the respective state government. Swachh Bharat Mission was launched by Prime Minister Narendra Modi on October 2, 2014 to eliminate open defecation and manual scavenging besides promoting modern and scientific municipal solid waste management. It aims to achieve a Clean India by October 2, 2019, the day of Mahatma Gandhi’s 150th birth anniversary.